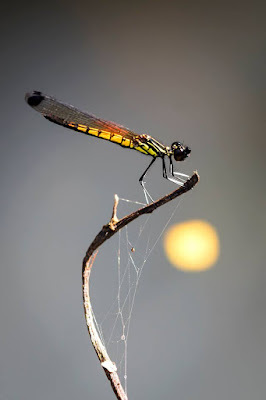 Name of the species was named after C. Linnae, the father of taxonomy who developed the natural systematic. 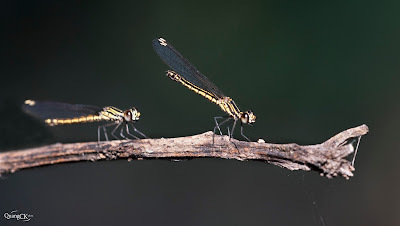 They are tiny damselfly with two colours of the body of the males: deep black and brighten yellow. 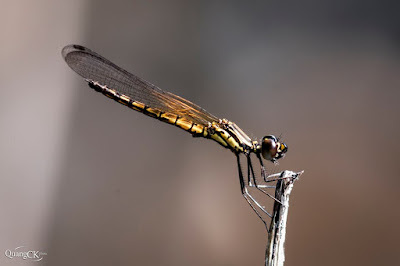 Wings are hyaline with orange-brownish at base and the fore wing has an apical dark spot. 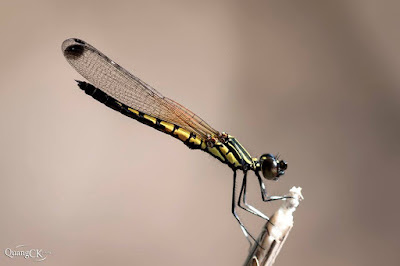 The species are one of smallest of chlorocyphid damselflies. The thorax of male is deep black with brighten yellow strip markings on both dorsal and lateral sides. Legs of male are black with while tibia on ventral side. 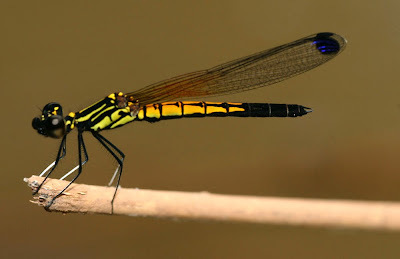 The abdomen of male is somehow depressed with light yellow marking dorsally on basal and middle segments while the apical segments are deep black. 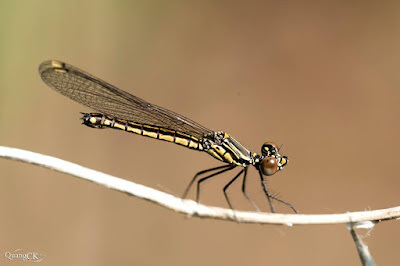 Female of the species is stout and duller and simpler in colour with hyaline wings and fade pterostigma. They inhabit at running waters in secondary forests or opaque rivers. Males commonly protect their territory around fallen timbers, and mate with arriving females. Females oviposit into the floating logs.